I love Bob Books! 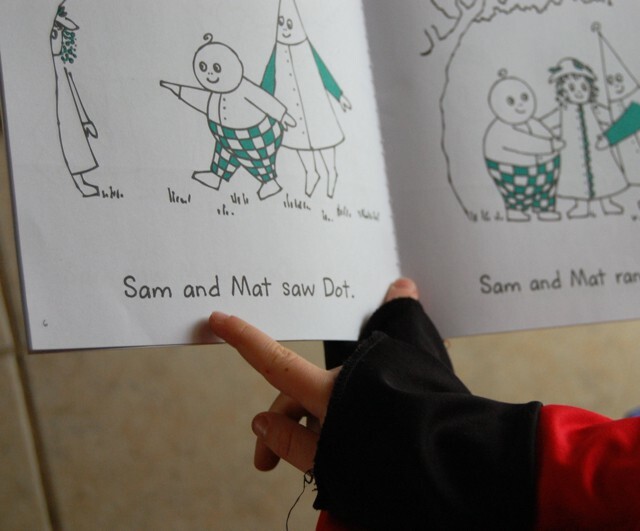 They are so excellent for beginning readers because they encourage them with success. 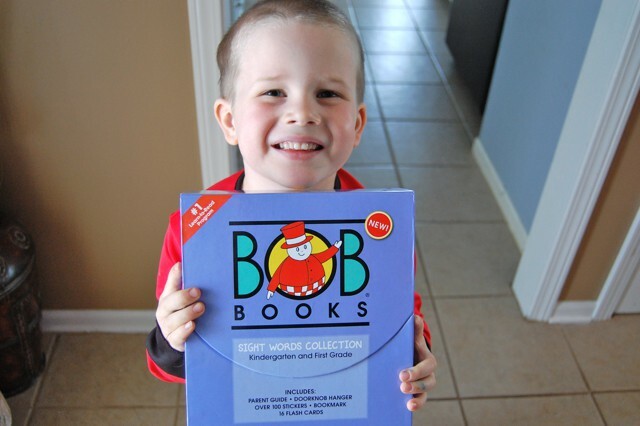 Every Bob Book introduces only a few sounds or new words, so the child can easily get through the entire book. Building a child’s confidence when teaching them how to read is very important. If your child thinks they can do it, they will! This picture really says it all! learning this new skill. Another thing I really like about these books is that there are very few words on each page, so your new reader doesn’t get overwhelmed. See? Very easy, simple sentences help to make the child feel at ease reading. These books happen to be on sale right now at my local Sam’s Club, so if you’re thinking about teaching your kids to read, I would highly recommend you go get them! There you go, a shameless plug for an amazing product that I love and that produces amazing results! I’ve used these with all of my children that I’ve taught to read so far, and they have all loved them!